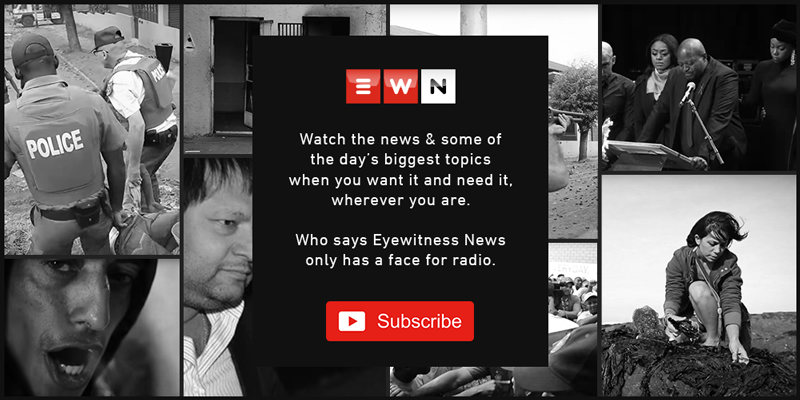 Eyewitness News has put together 10 controversial and powerful quotes from Johann Rupert during his interview with the chairperson of the MSG Afrika Group Given Mkhari. A YouTube screengrab of businessman Johann Rupert during his interview with the chairperson of the MSG Afrika Group Given Mkhari. JOHANNESBURG - Businessman Johann Rupert has angered and ruffled feathers on social media for "undermining black people" during an interview with the chairperson of the MSG Afrika Group Given Mkhari. The pair sat down for an interview on Tuesday night to speak about various issues, including entrepreneurship, land expropriation, success in life and Rupert’s views on the state of the country. Mkhari said that looking at Rupert’s market cap of businesses he controls, they are sitting at R687 billion. Hang on, that’s not cash, it’s market cap. The problem with the men in Africa, the women understand the difference between cashflow… Unless the wife was there looking after cashflow, we are very concerned about Zulus and Shangaans and Tswanas, you tend to buy cars immediately, the women understand cash flow, market cap and cash. Mkhari then said if people look at all that Rupert owns, they would say it’s a monopoly. The businessman then said his parents worked hard. Mkhari then said but that’s by virtue of them being white. What could they do? They were white. They didn’t hate blacks, they had partnerships with blacks throughout Africa. Mkhari asked him what white monopoly capital mean to you? Mkhari asked how much Afrikaner activism drove the birth of the brand. "I knew Steve Biko in his 20s and he would not have carried on in Taboo," Rupert added. He said that he hasn’t seen leadership in this generation. When you go to land, I would rather move it to property. Land is a very emotive issue. It’s emotional for the blacks and the whites and it’s obvious that there must be a redress. Asked how land expropriation without compensation should be done, Rupert said like how President Ramaphosa has explained it. Mkhari then argued that “how President Ramaphosa is explaining it is giving disclaimers without disturbing to economic stability blah blah blah..."
"What makes businesses work?" Mkhari asked the businessman. There has to be a gap in the market and strategic planning, but it’s not a 10-minute conversation. The best entrepreneurs I’ve met have a bit of paranoia, you have to be worried about what your competitor is doing. There is no organisation, are you kidding me? Surely what I have tried to do in my life belies the fact that we want to keep the darkies down. My black American friends will find this incredibly funny. Rupert also touched on the importance of people supporting each other. "You will find that black people won’t necessarily support black people because Afrikaners dumped me and it was the Jewish people who helped me."